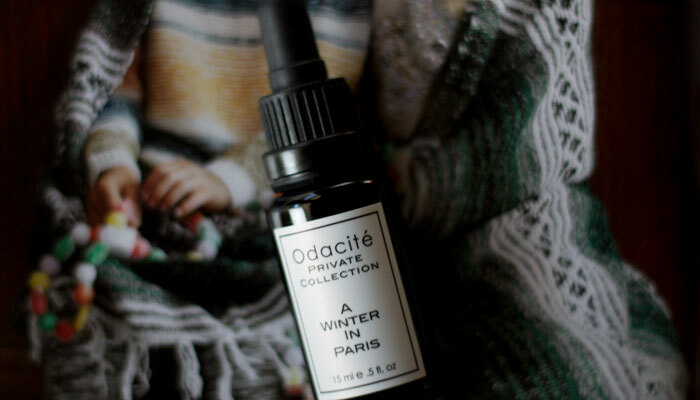 Designed for a private Parisian client, Odacite’s “A Winter in Paris” combines rich oils of camellia, moringa, baobab, pequi and marula for optimum moisture and a shot of suppleness. This lightly viscous oil packs a huge moisturizing punch and is appropriate for all skin types. Though it’s made for dry winter skin, the oil is delightfully light and layerable. In winter, my skin is more combination/oily (vs. straight oily in warmer months), so I can easily get away with using just a few drops of this oil at night. If you desire additional moisture, you can easily mix it with your favorite cream or use a bit more oil. I use 5 drops at night and massage it from forehead to neck for the ultimate treat. The scent of rose geranium (the only essential oil in the blend) brings a sense of calm and happiness as I work in the oil. Trusted by geishas and French beauties alike, green tea camellia seed oil is rich in collagen and helps skin feel balanced and smooth. Add in moringa, which boasts a host of nutrients and antioxidants (including vitamin C), and you’ve got a pretty solid moisturizing base. But, “A Winter in Paris” goes further with the likes of baobab, rich in omega fatty acids as well as vitamins A, D and E. Mega-powerful marula oil, high in palmitic acid, lends a protective coating of moisture to the skin. Then, this gorgeous blend is topped off with a taste of exotic pequi oil, a vitamin A-rich oil indigenous to Brazil that helps with skin renewal and healing. This oil also adds a touch of fruitiness to the scent (thought rose geranium is the dominant note). This combination of rich, restorative oils makes “A Winter in Paris” a perfect pick for cold-weather, evening skincare. It’s also the key to keeping skin happy during the shift from winter to spring and the temperature changes and skin flare-ups that always occur at that time. I’ll keep this oil in rotation during the awkward transition weather to keep any dry patches at bay. Odacite’s promise to you with this facial oil is skin that’s saved from dryness and dehydration. For me, it fulfilled the promise and then some; the scent is relaxing and makes for a lovely, aromatherapeutic evening ritual. As with the entire Private Collection of Odacite seasonal facial oils (see my reviews of Spring, Summer and Autumn), “A Winter in Paris” is expensive. It’s $149 for a half-ounce, and the ingredients list is short and seemingly simple. I like this oil for its intense moisturizing properties yet light texture. That’s not an easy feat to achieve! I’m also intrigued by the inclusion of pequi oil, which isn’t one you see on many ingredients lists. If I splurge on one thing from the Private Collection, it’s going to be “An Autumn on the World,” which contains a sophisticated form of vitamin C and is easily one of my favorite facial oils ever. 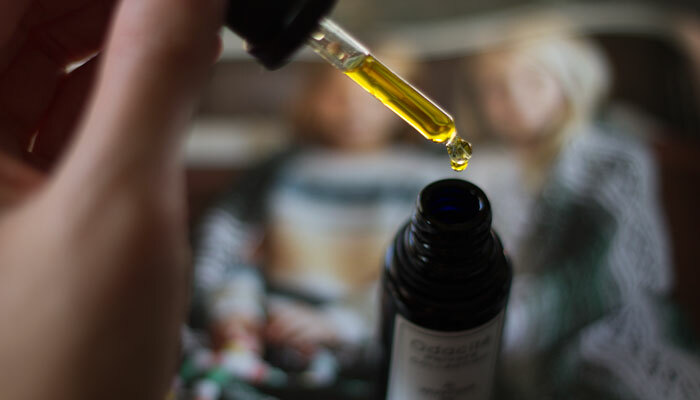 If you really want to baby step it in to Odacite oils, you can try their luscious serum booster concentrates to take your everyday carrier oils to the next level. And who knows, maybe Odacite will someday offer trial sizes of the Private Collection? Have you tried anything from Odacite? Of all the Private Collection oils, which one appeals to you most? Which serum booster concentrates caught your eye? Tell me in the comments!